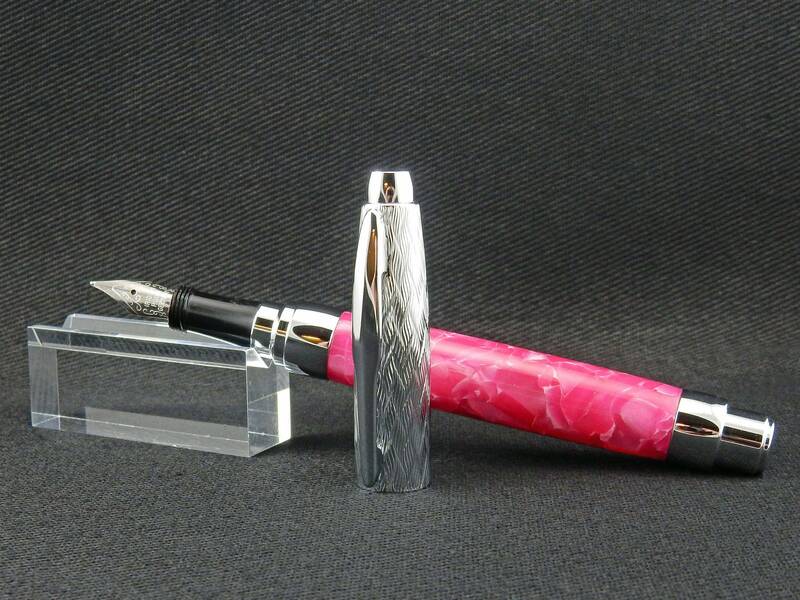 A hot pink acrylic in a crushed pattern comprises the body of this Presimo style fountain pen. After casting, turning and shaping, the body of the pen has been polished to a fine shine. An upgraded Heritance brand fountain pen nib is installed on this pen, in your choice of either Fine Point or Medium Point. 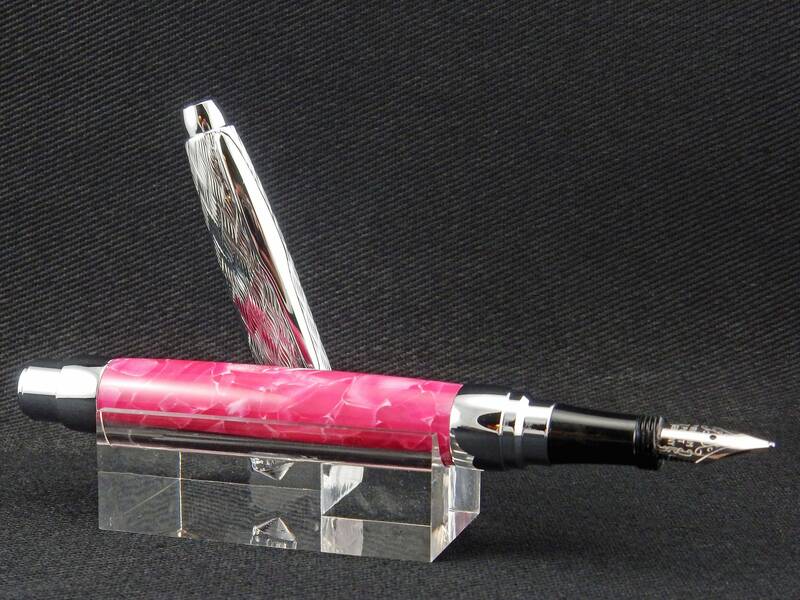 The pen is refillable with a standard fountain pen cartridge (international standard size) or with the refillable reservoir (often called a converter) which are both included with the purchase.